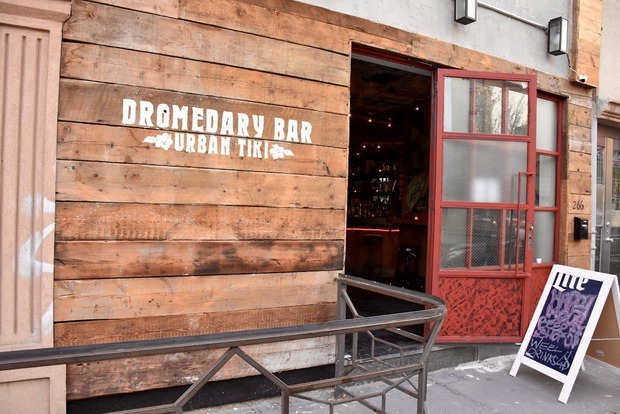 I don’t normally do much in the way of drinking on a Monday night, but this week I headed into Dromedary Urban Tiki Bar to watch some of Brooklyn's finest mixologists compete in the preliminary round of a citywide cocktail competition. Twenty-two bartenders living or working in Brooklyn duked it out at the High River Sauces Booze & Infuse Cocktail Competition, mixing the best cocktail they could in 90 seconds for a chance to win $5,000 at the sixth annual NYC Hot Sauce Expo on April 22. High River Sauces, which hosts the NYC Hot Sauce Expo as well as several other annual expos across America, holds these Booze & Infuse Cocktail Competitions all over the country. During the preliminaries, eager bartenders whip up their best craft cocktails to impress a panel of judges, and the three winners from each of these rounds go on to compete for a grand prize. I represented Bushwick Daily on the judges’ panel for the Brooklyn preliminary at Dromedary on Monday night. I was joined by cocktail journalist Lincoln Chinnery of The Alcohol Professor; spirits consultant Tommy Mauriello, who has worked with some of the largest spirits portfolios; United States Bartenders NY Treasurer Dawn Heidemann, who bartends at The Nomad Hotel; and Senior Publicist Shoshie Aborn of Big Picture Media. Throughout the night, we tasted cocktails made by 22 of the best mixologists living and working in Brooklyn. Aside from having only 90 seconds to make the drinks using a sponsor spirit — Evan Williams Kentucky Bourbon, Sacred Bond Brandy, or one of three chile-tequila infusions from Tanteo — there were no rules. The contestants took the challenge to heart, and we tasted an incredible variety of drinks, from simply updated takes on classics to the truly out-of-the-box. We judged each drink for appearance, taste, and creativity, awarding between one and 10 points per category, per drink. Across the board we were served excellent cocktails, and it pained us to have to pick winners; but pick winners we did. 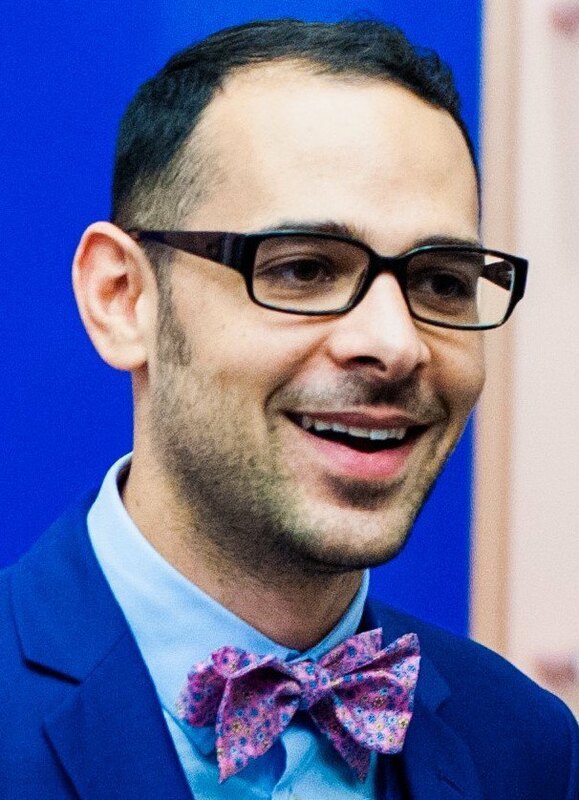 Carlos Ruiz, who tends bar at The Cassidy in Maplewood, N.J., came in third place with a Mexican-style cocktail tasting of cardamon, peppermint-chocolate crumbles, and soursop leaf. "I feel ecstatic to be able to compete with such amazing bartenders but most importantly [are] the friendships that are being created during the competition," Ruiz told Bushwick Daily. Mei Mei Kelleher, who slings drinks at Tribeca’s Distilled, took second place with her cocktail, Juana de Arco. The mixologist says she owes it all to former mentor and Brooklynite, Michaela Piccolo. "When I was first breaking into the cocktail world, she [Piccolo] told me that while it had been a man's world for a long time, women like us were going to change the game," Keller said. "I'm so thrilled to have competed against such a great group of talented folks, and even happier that two of the top three winners were female-identified bartenders. The level of expertise and creativity in this competition was inspiring." Judges found their first-place winner in Leanne Favre, a bartender at Clover Club and Leyenda in Cobble Hill. Favre whipped up our favorite cocktail of the night, the Nahuatl Nitecap. This tequila-based, chocolatey beverage really wowed us with its spice and banana liqueur. "This was a great competition! Great crowd & amazing venue. It was wonderful to see the creativity of other local bartenders," said Favre. The three will now represent Brooklyn in the Booze & Infuse Cocktail Competition at this year’s NYC Hot Sauce Expo and fight it out with 15 other bartenders from across the city for the title and prize money.